OCPR Update: Get ready for youth baseball and softball and … BBQ! 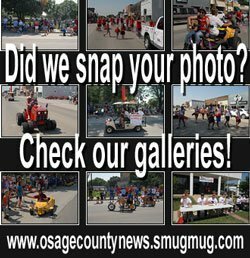 Osage City Parks and Recreation is gearing up for youth baseball and softball, but also busy organizing the upcoming Smoke in the Spring State BBQ Championship and citywide barbecue celebration, Taste of Osage City, to be held May 8-9, 2016. Players who are not 5 years old by May 1, 2016, are too young for the Novice Boys and Girls Divisions. The U6 (Novice) and U8 (Advanced) Divisions, Boys and Girls, will be coach pitch. The U10 Divisions (Midget, Boys & Girls), U12 Divisions (Pee Wee Boys, C-Girls), U15 Divisions (Little League Boys, B-Girls) are kid-pitch. Team practices can start the week of April 11, if a coach has been assigned. FHL Season will be May 23 through July 9. Divisions Tournaments will be the week of July 11. Tee-ball forms will be available the end of April. Tee-ball is for kids age 3-5. This is a special community evening showcasing Smoke in the Spring BBQ teams who choose to cook food for the public. BBQ teams accept BBQ Bucks as payment for the food. BBQ Bucks can be purchased at either Osage City Hall or Edward Jones starting April 4. BBQ Bucks will be sold onsite April 8, 2-7 p.m., Community Building concession stand windows. Neosho River Band – Band members: Larry Thompson (lead vocals), Mike Steggall (lead guitar), Dan Heath (steel guitar), Rob Walkowiak (drums), and Ed Spencer (bass & vocals). For booking information, contact 785-840-7100. Sponsored by the Conrad Carlson Charitable Foundation. Signup Deadline April 8, 5 p.m.
Kids-Q cook’s meeting April 8, 5:30 p.m., Community Building. Kids-Q Turn-In, April 8, 8 p.m. in the Community Building. Age Divisions, 10 & Under and 11 & Above. $10 per cooker, Dessert Turn-In. Cookers must prepare their turn-in onsite. Awards and prizes given to the top 5 places in each category. 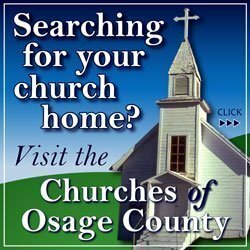 Shuttle Service (Friday Only) for those parked at the Osage City School Parking Lot Area (4-9 p.m.), Pick Up at OC Elementary Parking Lot, and drop off will be at Safford, between K-170 and 1st Street. 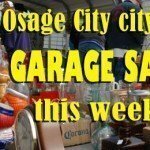 Patrons are also welcome to walk to the event from the Osage Schools.